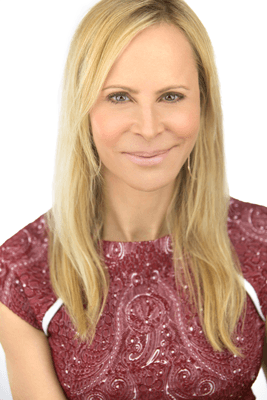 A Passion For Food & Wellness: Layne Lieberman, MS, RD, CDN, an internationally recognized registered dietitian/nutritionist and member of the Academy of Nutrition and Dietetics, is a leader and innovator in the food and health industries. With a never-ending passion for wholesome food and well-being, Layne inspires others to achieve balance in diet and lifestyle. 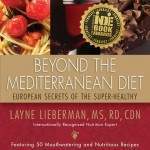 Layne Lieberman, MS, RDN, CDN, LDN an award-winning, internationally recognized culinary nutritionist and member of the Academy of Nutrition and Dietetics, is a leader and innovator in the food and health industries. With a never-ending passion for wholesome food and well-being, Layne inspires others to achieve balance in diet and lifestyle. Most recently, Layne spent two years living abroad to study food, health and the dietary habits of other countries. Collaborating with chefs, locals and living in other cultures, Layne was determined to find a solution to the decline of America’s health and obesity epidemic. For 20 years in the supermarket industry, Layne was Director of Nutrition/Consultant for America’s first supermarket chain, King Kullen Grocery Company, where she was at the nexus of the organic and health food industry’s efforts to make inroads into conventional food marketing and merchandising. In addition, Layne was responsible for consumer and industry health communications. Layne’s weekly circular messages reached one million homes per week and 30,000 of Layne’s monthly nutrition newsletters were circulated each month. Layne was also the editor of the King Kullen Quarterly Diabetes Newsletter. In the restaurant and food industries, Layne works with chefs and owners to create healthy recipes and menus. She offers services in food photography and recipe nutritional analysis. Currently, Layne is the Menu Inspiration Expert for Tyson Foodservice. Philanthropically, for over 20 years and counting, Layne has been devoted to the American Heart Association as board member, event chairperson, menu consultant, spokesperson and the driving force behind the annual Hamptons Gala. She was an advisory board member and lecturer for Dr. Mehmet Oz’s Foundation For The Advancement Of Cardiac Therapies. Since 2014, Layne contributes full-page recipe articles to the Alzheimer’s Foundation of America’s quarterly magazine. In the late 1980s, Layne founded and operated Nutrition Learning Centers, a center for weight loss and medical nutrition combining cooking classes, a health food store and nutritional counseling. Layne received a Bachelor of Science in Nutritional Biochemistry from Cornell University and earned a Master of Science in Clinical Nutrition from New York University. During the masters degree training, Layne worked in Public Relations for Ketchum Health Communications. 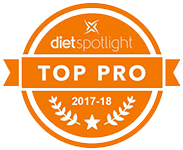 After completing the masters degree, Layne spent two years at the Albert Einstein College of Medicine doing a research fellowship as the General Clinical Research Nutritionist in the areas of diabetes, heart disease, and other chronic illnesses. Later, at the Culinary Institute of America, Layne completed the Chef-RD training program. Layne consults in the restaurant, travel and food industries; and has an e-counseling practice. She contributes to the Huffington Post, Boulder Bubble and WorldRD and guest blogs on other sites including Diets In Review, Stone Soup Bloggers, Access Hollywood and Fox News. Layne currently leads culinary and cultural tours to southern Italy targeted to registered dietitians and those seeking an in-depth Mediterranean diet experience. The program is pre-approved by the Academy of Nutrition and Dietetics for 30 continuing education units.